If you haven’t heard yet, this Sunday, thousands of Canadians in Toronto will be taking part in the Wal-Mart Walk for Miracles. They will be walking to help to fund medical care and research that will benefit children in the GTA. 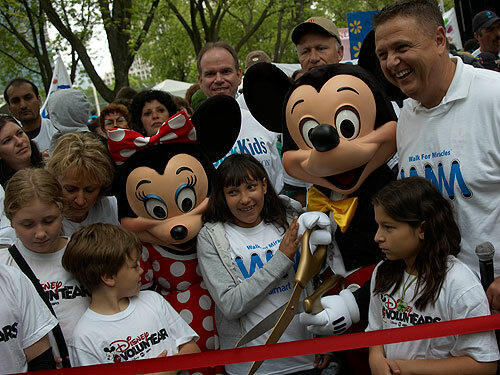 The Toronto walk kicks off at Coronation Park, where you can walk along Toronto Maple Leafs celebs and Disney characters like Mickey Mouse. The Toronto walk will raise money and all proceeds will go to The Hospital for Sick Children (SickKids) and there will be simultaneous walks in the rest of Canada. Last year over 15,000 people participated in the walk across Canada and raised a record $4.8 million.